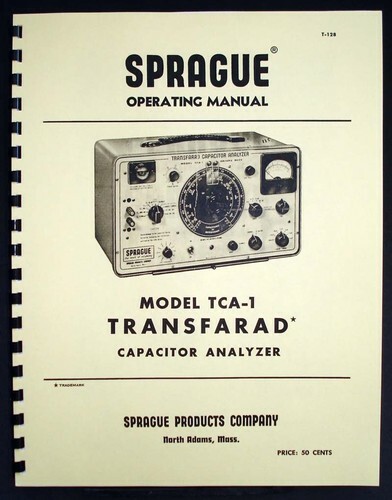 For sale is reprint of Sprague Transfarad TCA-1 Capacitor analyzer manual. 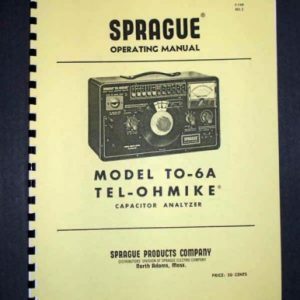 Manual is 15 pages long and includes 11×17″ schematic. 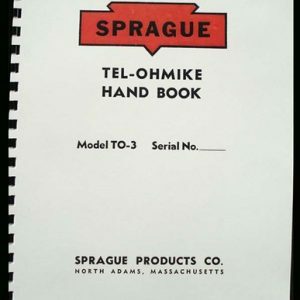 Dated 1960. 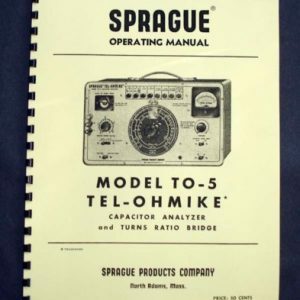 Sections include: General Description, Capacitor and power Factor, Insulation Resistance, Leaking Current of Electrolytic Capacitors. 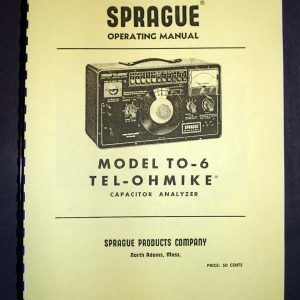 Manual includes Part List and diagrams with arrows pointing to every component location.